It has been said that our bodies are the temple of the most high living god. Our bodies are a super bio computer, constantly sending us signals or messages. Our conscious minds don’t always recognize what our bodies are trying to tell us. And if we ignore the signals our bodies are sending us long enough, that’s when our body will produce a symptom to get us to wake up and change course. The symptom is there to help us on what we have been ignoring, that no longer serves us. Let’s say you have been ignoring a behavior that your spouse or partner has been engaging in. And you keep holding this in. Instead of expressing your feelings on the topic, you just keep sweeping it under the rug, so to speak. Eventually this could show up as shoulder pain on the right side. According to SBLT(Sacred Body Language Translations) the shoulders represent blessings and burdens. So now your body has produce a symptom to get you to express yourself to your partner or spouse, and turn your burden you have been carrying into a blessing. Or, you are constantly, repeatedly walking around saying, “I just don’t understand, I just don’t understand,” and you step off a curb and break your ankle. The word becomes flesh. In SBLT, legs are moving and understanding, so constantly stating the phrase “I don’t understand”, our subconscious mind finally says o.k., and produces, I won’t stand under and support you. This helps you to recognize your word pattern, and ask yourself a different question. Our subconscious mind takes things we say literally, so what ever we say will produce symptoms in our bodies. Be wise in your thoughts and the words you speak, they have a huge impact in what happens with your body and what manifests in your life. In SBLT our bodies have a masculine and a feminine side. The left side of our bodies represent the feminine side of life. That means it’s the creative, intuitive, receiving side. It can also represent a female figure depending on what the symptom is, and where in our body it is. The right side of our bodies represent the masculine side of life. Which is the action, doing, rational side of life. And can represent a male figure in our life depending on the symptom. This is just the basic premise of SBLT. There is so much more. Every hair, finger, nail, vertebrae, every tooth, has a meaning and a translation. People tend to be quick to take a medications or drugs to treat their symptoms, and then mask what the true cause is. The symptom is not the cause. This is where chronic symptoms can happen. And the key is to ask yourself the right question to elicit a healing response depending on what the symptom is. 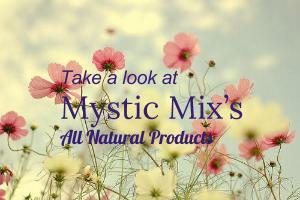 If you would like to learn more, or have your symptom translated, you can contact me at adam@mysticmix.com or Team page. The magic of Sacred Body Language Translations is a miracle, and a recognition that we are divinely connected.